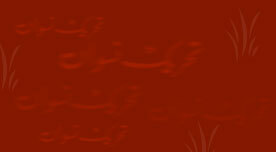 In 1979 a group of women formed Tehrik- e- Niswan, (The Women’s Movement). Its first All Women’s Conference was held in Karachi in 1980. This conference was attended by women from all sections of society, especially working class women from Lyari and Orangi and from various Trade and Labour Unions. Tehrik’s initial focus was on organizing seminars and workshops taking up issues like “Violence on Women”, and “Chaddar and Chardiwari”. Tehrik felt that both the sexes, men (particularly) and women (generally), needed to be made aware of the low status and position of women and the social, political, economic and cultural discrimination. Within a year Tehrik had moved away from seminars towards cultural and creative activity like Theatre and Dance to convey its message. Consequently for the first time in the history of the country, feminist and politically conscious plays about the plight of women and other oppressed people began to be staged. The first play “Dard Kay Faaslay” (Distances of Pain) was performed in 1981 for an all-women audience in a shopping centre in one of the most populous middle class areas of Karachi. 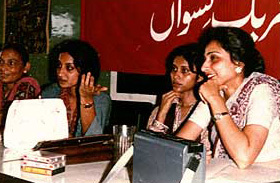 Soon Tehrik became the cultural wing of the Women’s Movement in Pakistan. In its struggle to combat patriarchal attitudes of the society, Tehrik-e-Niswan strives with persistence and single-mindedness to create change in the lives of the people it reaches out to.